This week saw the start of Series 11 of The Apprentice. As predicted there are a few characters on the show. One such character is Richard Woods, a founding director of a digital marketing agency. In week two, he was project manager of a task which involved the marketing of a cactus shampoo. He was seen giving each team member the chance to pitch in with their own ideas. Baroness Karren Brady commented that she wondered if Richard had bought a book on management skills and read it cover to cover prior to coming on the show. It was quite funny because she said she wondered whether Richard was actually listening to them or just pushing what he wanted. Following on from this, I decided that I would discuss the ways in which managers can motivate their staff by giving them the autonomy to have their own ideas. 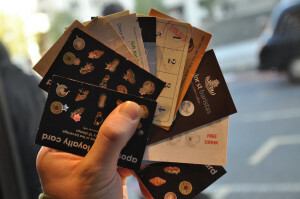 Loyalty card stamps: Joseph Nunes and Xavier Dreze conducted a study into the effort that customers put into achieving the reward from their loyalty cards. They conducted a study with a car wash business involving a total of 300 customers. The loyalty cards involved collecting stamps in order to get a free car wash. There were two groups in the study. One group was given a card that required 8 stamps in order to receive the reward. The second group was given a card that required 10 stamps in order to get the reward. However these cards had two stamps already completed. This is known as ‘artifical enhancement’. The second group were found to be 44% more likely to complete the cards. The completion time also decreased. This effect has been named the Endowed Progress Effect. You could allow your staff the discretion to provide one or two extra stamps when issuing customers with their loyalty cards. Store environment: The coffee shop chain Harris and Hoole gives their staff input into what music is played in the store. This is a simple, yet effective, way to engage staff. Treating customers: Pret A Manger rejects the loyalty card idea, in favour of giving out a certain allowance of free items to their customers each day. The staff members are given the freedom to choose which customers receive the free items. What do you think of these ideas? It would be great to hear your thoughts!